More proof that there are some really cool houses up north that are far from your standard, brick-and-stone-clad builder’s special. 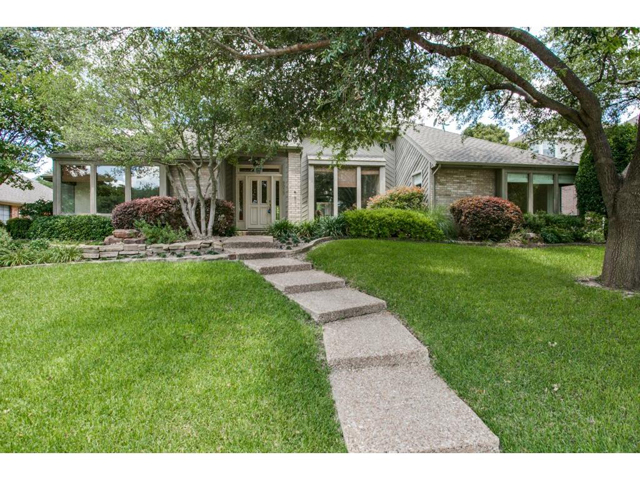 This 1970s contemporary in West Plano is a wonderful example of how you can find a fabulous, updated home with tons of great details up in Collin County. Located inside Bent Trail, this lovely home not only has great curb appeal and perfect landscaping, but inside is a transitional transformation that is just perfect for a modern family.